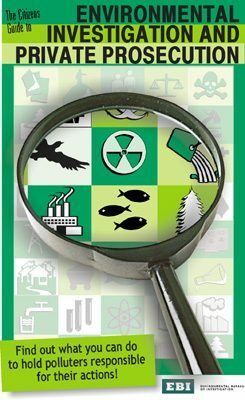 This guide will provide you with some of the knowledge required to investigate pollution and to force polluters to comply with environmental laws. Private environmental investigations can play an important role in stopping pollution, by providing you with solid evidence that you can take to the media, to government regulators, and if necessary, to court. and as a last resort, launching a private prosecution.